Tesoro Corporation, otherwise known as just simply Tesoro, is a company in the oil and gas industry. They are an independent refiner and marketer of petroleum products. They are involved with such retail stations as Tesoro, Shell, Exxon and Mobil. For more information on your Tesoro application, follow the link below. Founded in 1968 by Dr. Robert V. West Jr., this company began as a company that was dedicated to petroleum exploration and production. In the following year, they opened up their first refinery near Kenai Alaska. Through a series of acquisitions, they expanded their capabilities into refinery and marketing. They have found great success in their target areas. This company became the first Fortune 500 business in San Antonio, Texas, where they are currently headquartered. This company currently has 6 oil refineries and over 590 retail locations. They have about 5,700 employees. They made an estimated $37.6 billion dollars in revenue in 2013. They are considered the largest company of its kind. This company also takes social responsibility very seriously. Their main focus in community investments are in fields in which they feel they have the best chances of making a different. The three aspects that they mostly focus on are STEM education (Science, Technology, Engineering, and Mathematics), Public Safety, and Environmental Conservation & Sustainability. They also help in such areas as local health, human and social service needs. There are many different types of opportunities for potential job seekers at both the corporate and retail level of this company. The retail level offers many entry-level positions that a person can get into the company and grow their job into a Tesoro career. Some positions at the retail level include store manager, gas station attendant, and cashier. The corporate level has many different types of positions so that a potential job seeker can find something that meets their particular skill set and talents. There are some entry-level positions in the corporate office, but most positions are higher level positions with higher requirements to gain employment. Some positions are wholesale marketing, business analyst and intern. Different positions at this company have a different set of requirements to gain employment. Some entry-level positions require a person to have a high school diploma or equivalent to gain employment. Higher level positions may require a person to have a college degree and several years of experience. How old do you have to be to work at Tesoro? The minimum age of employment is 18 years of age. Tesoro has very competitive benefits for their industry. Employee eligibility for benefits can depend on hours worked weekly and job title. Some benefits they may receive are health insurance, vision and dental plans. They may also receive both short-term and long-term disability, a 401(k) plan, and career advancement opportunities within the company. This company’s hours of operation can vary depending on location and holiday hours. Some holidays may cause closures, either full day or half day. For more information, check your local Tesoro for their hours. In general, this company is open for operation 24 hours a day, 7 days a week. Gas Station Attendant- A gas station attendant is responsible for handling matters at their station, including filling up customer’s cars with gas and washing their windows. They may also check the oil in the customer’s car. They will handle customer transactions, including bringing cards and money into the cashier. A gas station attendant may earn around $11 per hour. Cashier- A cashier is responsible for handling customer transactions at the register. They are also responsible for ensuring that the cash box is balanced at the end of their shift. They will also handle assisting customers with their needs in the store. A cashier may earn around $10 per hour, or start at their location’s hourly minimum wage. Assistant Store Manager- An assistant store manager is responsible for assisting the manager run the daily operations of the store. They will help train new employees. They will also help assist around the store when they are short-staffed. They will take over responsibilities of the store manager if the store manager is not present. An assistant store manager may earn around $25,000 a year. Store Manager- The store manager is responsible for running the daily operations of the store. The store manager is responsible for hiring and firing employees as necessary. They will conduct job interviews for potential interviews. They are responsible for scheduling their staff. They are responsible for their store’s budget, payroll, and inventory. A store manager may earn around $40,000 a year. Why do you want to work at Tesoro? This question may require some research prior to your interview. The interviewer is looking to see what you know about the company and what they stand for. Explain which values that you feel you share with the company and why that makes you a good fit to work at the company. Have you ever had a disagreement with a co-worker and how did you resolve it? The interviewer is looking to see your capacity for working with other people. Be honest and discuss any time that you had a disagreement with a co-worker and how you resolved it. What are your future career goals? The interviewer wants someone who wants to grow with the company and advance to higher positions within the company. Discuss your future career goals and how this company fits in with your goals. What would you say is your greatest weakness? The interviewer is checking to see if you acknowledge any shortcomings that you may have. This means that you are able to take critiques as something to improve upon, and not as an insult. Discuss what you feel your biggest weakness is and how you try to overcome it. Why should we choose you over the other applicants? The interviewer is giving you the opportunity to sell yourself as the best candidate for the job. Take this chance to discuss your strengths and how you feel the company would best benefit from them. Wondering how to apply at Tesoro? 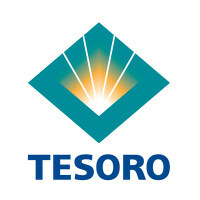 You can apply for a Tesoro job by visiting Tesoro jobs online. You may also fill out an application form at your local Tesoro. There are no downloadable applications online. There are no printable applications online. The easiest way to apply is to apply directly online. The company website has job descriptions and responsibilities for available positions on their website so that job seekers can find a job that fits their skills and talents. You should only apply for a position that you qualify for. You should fill out the application completely and according to the provided instructions. You should also submit an updated resume with your application. After applying for a position, you should hear back within a reasonable amount of time. If not, you can call up the company to check the status of your application and to see if they are still hiring for that position. They may also provide additional information, such as when interviews are set to begin if they have not yet started. You should prepare for your interview beforehand. You can do this by asking yourself potential interview questions and answering them aloud. This will help you seem less nervous, which will help give an impression that you are more confident and articulate. You should remember to dress in professional attire for your interview. This will help increase your chances of getting the job. DIRECTV: See this page for jobs at DIRECTV. Baltimore Gas And Electric: See this page for jobs at Baltimore Gas And Electric. Cox Communications: For career opportunities, fill out the Cox Communications online application. Delmarva Power: Use the Delmarva Power job application to apply here. PECO: See this page for jobs at PECO.